Mosquitoes? If your backyard is swarming with them, your well-maintained bird bath is not the source. Mosquito larvae are far more likely to be thriving elsewhere on your property! Mosquito larvae takes a minimum of 7-10 days to hatch. As a conscientious host, during that time you will have freshened the water several times. Mosquito larvae tubers will drown—due to the frenzied, bathing activity of your guests and the timely refilling and freshening you do. If after filling and freshening frequently you’re still concerned about mosquitoes hatching in your bird bath, add motion to the water with a water wiggler, mister or dripper. Mosquitoes will hate it, but the birds will LOVE it. In fact, the sound of splashing water can help attract more birds to your bird bath. Female mosquitoes seek still, shaded water for laying eggs. Mosquitoes aren’t really all that discerning. 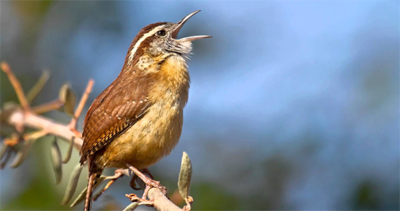 They will choose natural places like holes or crevices in plants and trees or any type of artificial container with water to deposit their eggs. They lay eggs during the day, tending to prefer shaded, dark-colored containers with wide openings, in water containing decaying organic material or algae. 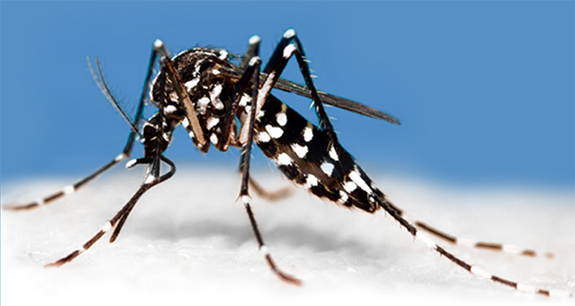 To learn more about mosquitoes and their life cycle, see the EPA website about mosquitoes. Stopping mosquitoes before they start is a good first step, but you will still need to protect your family from adult mosquitoes seeking a feast. Protect your family from mosquito bites this summer by using natural, DEET-free repellents. If you’re considering some kind of property-wide chemical intervention in desperation, please avoid pesticides that kill beneficial insects in the process. You would also be eliminating the food source of many wild birds and endangering native pollinators like, bees, butterflies and bats. Remember, birds feed their babies insects almost exclusively while they are in the nest. Be sure to research the ingredients of any product, organic or otherwise, before you use it and understand how it works. 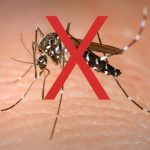 Fortunately, there are alternatives to help protect your family from mosquito bites that do not require such drastic environmental measures or toxic chemicals. The Backyard Naturalist does not like being sprayed head-to-toe with DEET and has spent some time looking for alternatives! We are excited to find mosquito repellent that is DEET-free, easy to take with us wherever we go and doesn’t require taking a shower to wash it off afterward. You wear mosquito repellent, like an accessory! Protect each member of your active family with a mosquito repelling band, clip or stickers that attach to clothing, are easily removable and reusable. Economical, healthy and practical. You can take these items off and store them in a ziploc bag until you need them again. To keep mosquitoes away in a larger area, The Backyard Naturalist recommends a tried-and-true favorite made from Australian sandalwood, Glo-Brite Mosquito Sticks. Unlike other coils and candles, the sticks are non-toxic and safe for use around children, pets and food as you burn them. And they smell nicer, too! Don’t let mosquitoes stop your summer fun! With a little diligence, your backyard bird bath will be a haven for wild birds during hot summer days and a source of endless entertainment for you and your family. And, with a little natural mosquito repellent, your backyard will remain a haven for humans!